Your microscope is controlled by software which runs on the computer. Inscoper works up to 3 times faster, and is easier to use. Our technology provides the best performance to control microscope systems used for research in life sciences. … then our solution is meant for you! Inscoper’s innovation involves a new approach to control hardware devices, regardless of the type or the manufacturer. For users who need to obtain the best performance of their microscopes, Inscoper provides an easy-to-use and effective solution. ++ Image acquisition up to 3 times faster than conventional approaches, by suppression of software latency effects in the control of hardware devices. ++ Improved user experience which allows focusing on the results rather than the operation of the equipment. ++ Well-suited for fluorescence techniques based on widefield and spinning disk confocal microscopy. 1/ The user puts the sample(s) on the stage and configures the desired acquisition sequence : timelapse, wave lengths, moves, etc. 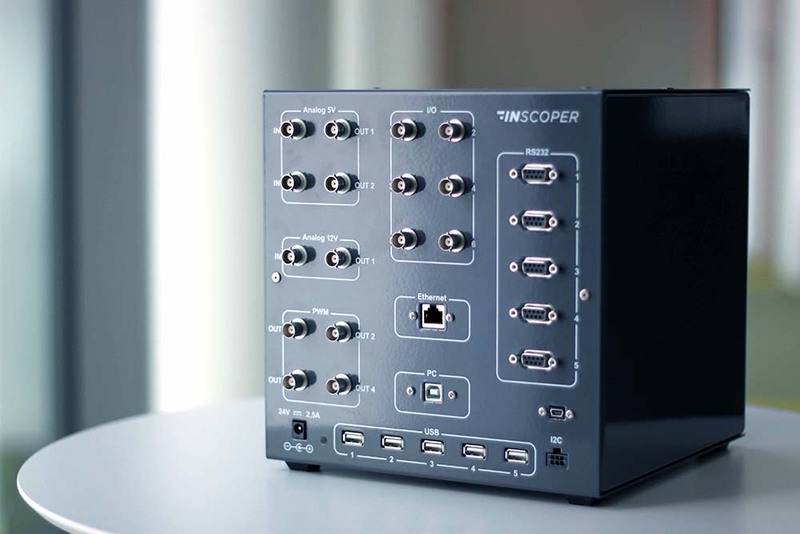 2/ Using patented technology, the electronic device Inscoper runs the sequence at the fastest speed possible considering the mechanical characteristics of the microscope and devices. 3/ Images are stored and displayable on the computer for subsequent processing and analysis. Discover the problem Cynthia faces when handling a microscope, and how she manages to solve it!